The bids are in and it doesn’t look pretty. They range from a low of $30,696.00 to a high of ?, doesn’t matter what the high was we always go with the cheapest. Another thing to consider, as part of the bid packet the bidder agrees to commence work within 15 days of being notified their bid was accepted. As this project is less than $50,000.00 the city manager can sign off without city council approval. The last attempt to install this backyard device resulted in its removal 22 days after it was installed. At that time “safety chains” were missing, some had broken clasp. A device for self propulsion was spinning about freely (it’s chain missing) set screws had fallen out along with several bolts having been omitted during installation. 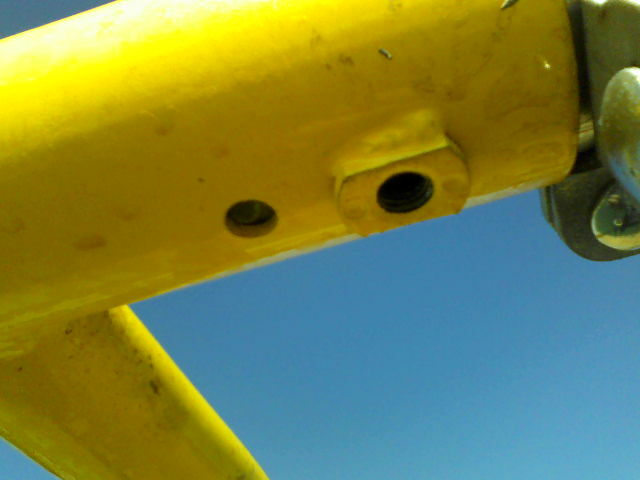 Numerous bolts from day one had been protruding unsafely creating a hazard, some even had sharp edges having been hacksawed during installation. The last installation was done supposedly to the “Manufactures Installation Instructions”, the same process that is called for this time. 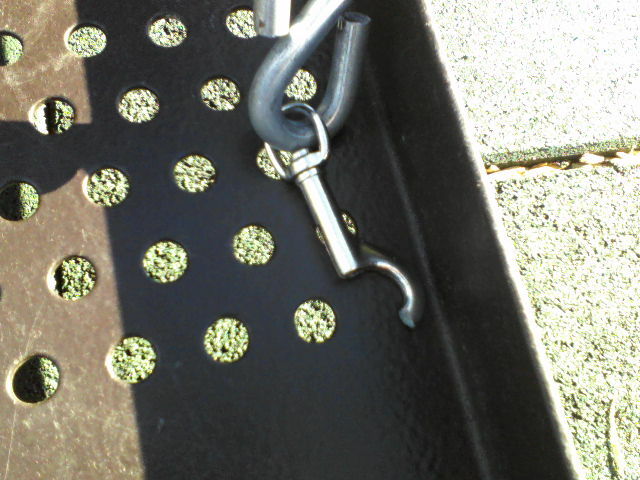 This swing was removed after a inspection was done by a Certified Playground Safety Inspector (CPSI) on a Sunday morning no less. All of the reasons for removal do not appear to have been considered during this re-installation process. See for yourself, attached is that inspection. Look closely at the “use zones” and the inspectors notes. translation = on the diagonal). If anyone thinks this will change because of an additional sign or a short fence, think again. 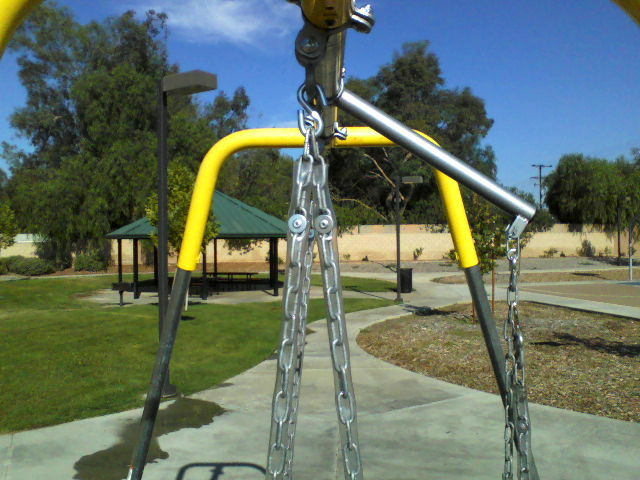 Without a proper “Parks Department” and parks personnel to monitor this apparatus ensuring it is locked when not in use and being present to unlock it on the rare occasion it will be used it, will be abused, primarily because it is fun and children go to the park to have fun. This entry was posted in Daily Ruminations, Future City of Wildomar, Parks, Shenaigans on September 2, 2015 by Kenny. All of this is so heartbreaking. Ashley worked so hard to get this swing installed, and the city of Wildomar has ruined all of her hard work.